Have you chosen to follow a vegetarian or vegan diet? Have you wondered how to successfully follow The Fertility Diet because it includes meat and dairy, yet you don’t eat either? We know many do not eat these foods and would like direction on following the Fertility Diet without them. We created this guide to support you! With a little care and forethought, it’s easy to get the nutrients you need for optimal fertility health while sticking to the principles of plant-based eating. Vegetarian and vegan diets have gained momentum in the modern world. A properly balanced plant food diet can offer amazing health benefits: better heart health, weight management and reduced cancer risk, just to name a few. Plant-based diets are widely accepted today, even by most nutrition specialists. Familiarize yourself with the Fertility Diet and fertility superfoods when learning how to eat for optimal fertility, and pay special attention to the following tips. You need protein to sustain and build tissue- both your own and that of your future baby. In the nutrition world, it’s acknowledged that balanced plant-based diets easily provide enough protein for health, fertility, and pregnancy needs. How much protein do you need? A good general rule is .9 gram of protein per kilogram of body weight. For a 150-pound (or 68 kg) woman, this is about 61 grams daily. The general protein guideline for vegetarians and vegans is around 4-6 servings per day. You could need more if you’re very active or a larger person. High quality protein sources to include: lentils, chickpeas, black/kidney/pinto/lima beans, nuts and seeds, nutritional yeast, spirulina, sprouted grains, or a plant protein powder from hemp, pea, fermented amaranth or Sacha inchi. Consider learning more about Fertilica™ protein powders available in grass fed whey for vegetarians, and 100% plant-based for vegans. For vegetarians, eggs and yogurt (especially Greek Yogurt) are good sources of protein as well. For men, vitamin B12 is an important nutrient for sperm health and production. For women, it plays a role in the health of the endometrial lining and normal ovulation. Unfortunately, B12 is mostly available from animal sources like red meat, poultry, dairy products and eggs. Vegans and vegetarians often have challenges getting enough B12. B12 is available in small amounts in: seaweed (also a good source of iodine which can be deficient in vegans), barley grass, blue green algae like spirulina, fortified nutritional yeast, almond and hemp milk, and cereals. For vegetarians who eat dairy, B12 is available in eggs and dairy products. If you struggle to get enough B12 (many people do), a vegetarian B-12 supplement, around 1000 mcg daily is a good choice. B12 is also available in whole food multivitamins like FertilicaTM Fertile Woman One Daily and Baby & Me. Low iron or anemia is a common issue today for vegetarians and omnivores alike. It can present significant problems for health, fertility, and pregnancy, such as poor sperm or egg health and anovulation. There are many options for plant sources of iron: blackstrap molasses, dulse, lentils, chickpeas, beans, beets, dark greens like spinach and kale, pumpkin seeds and dried fruit like apricots, raisins or figs. Be sure to also include high Vitamin C foods to enhance iron absorption: berries, peppers, broccoli, cabbage, Brussels sprouts, and citrus fruits. Cooking in iron pots is another way to add more iron to your daily diet. If your iron levels are still low (plant source iron can be hard to absorb), a good food source, non-constipating iron supplement like Blood Builder by MegaFood may be necessary. For regular iron supplements (ferrous sulfate), 33mg daily is a good dosage. Zinc is an important nutrient for sperm health, hormone regulation, menstrual cycle health and libido. Learn more: Think Zinc For Fertility. It’s important to take care to get enough zinc if you’re vegan or vegetarian. Zinc is only available from certain plant foods: raw pumpkin and sesame seeds (the highest sources), tahini, nutritional yeast, wheat germ, chickpeas, lentils, and beans. If you’re not sure you’re getting enough zinc, a supplement can shore up your levels. A general dose is 15-30 mg daily. If you need zinc long term, make sure your supplement contains copper. Long-term zinc supplementation can deplete copper levels. Vitamin D is an important nutrient for your fertility. It’s vital to cell growth, immune response, fibroid protection, hormone balance, and normal ovulation. Vitamin D is the “sunlight” vitamin, synthesized through sun exposure on the skin. People with darker skin pigmentation, who spend a lot of time indoors, or who live in cold or dark environments often find it hard to get enough vitamin D.
To be fair, it’s difficult for anyone (including vegetarians and vegans) to get enough vitamin D from diet alone. Vitamin D is available in fortified dairy, cheese, eggs, and mushrooms. For vegans, D3 supplements are now available from lichen sources. A good daily dosage for fertility is 2000 IU. Note: Many D3 supplements are derived from lanolin (from sheep’s wool). Double check if you’re unsure and concerned. Calcium is an important nutrient for preconception, sperm function, and embryo development. Most vegans and vegetarians are able to get enough calcium for health and fertility with a little focus. Plant sources of calcium naturally come with the proper balance of magnesium, and without the concentrated protein that offsets absorption. FertilicaTM Coral Calcium supplement may be a good choice if you struggle to get enough calcium on your Fertility Diet. Note: Avoid high protein diets and excess caffeine, which deplete calcium levels. 7. Don’t forget omega-3 fatty acids. Omega-3 fatty acids are essential fats for heart health, hormone balance, cervical mucus production, and fetal/maternal brain health. Unfortunately, Western diets usually contain an imbalance of omega-6 fatty acids to omega-3’s. Omega-3 deficiencies are very common today. A healthy omega-3 to omega-6 balance is 2:1- 3:1. Some research finds modern Western diets contain 15:1 to 17:1 omega-6 to omega-3! This sets the stage for inflammation, degenerative disease risk, and can be detrimental on your Fertility Diet. To avoid this, reduce your intake of processed snack foods like chips, crackers, cookies and baked goods produced with high omega 6 oils (like GMO corn and soy oil), which disrupt your body’s fat balance. Omega-3s are available in plant foods like: flax seed, chia seed, hemp seed, perilla oil, sesame seed, and tahini. Since the best source is fish and seafood, vegans and vegetarians need to work at it to get enough omega-3 fatty acids. A plant source DHA (docosahexaenoic acid) supplement (around 300 mg daily) is another good choice, allowing you to get the Omega-3s you need without sacrificing your dietary preferences. 8. Watch over consumption of “veg” junk foods. Like omnivores, it’s pretty easy for vegans or vegetarians to get hooked on processed foods and sugar. I’ve known vegetarians who snack on candy all day long! If you’re vegan or vegetarian, take stock of your daily diet. Are you eating a lot of “foods in a box”? Do you overdo sugar or refined carbohydrates? Do your best to shop from the parameters of the health food store where the real food is. Visit local farmer’s markets each week for fresh fruits and vegetables. Important: Choose organic when possible, especially when it comes to heavily-sprayed plant foods from The Dirty Dozen. Also, avoid routinely genetically modified ingredients like corn, soy, and canola oil. Even vegans and vegetarians can be hit hard by chemical overload from the modern diet. 9. Avoid soy as a meat substitute. Fermented soy foods like miso and tempeh are healthy cultured foods you can include in moderation on the Fertility diet. However, too much of the wrong kinds of soy can have fertility blocking effects. Avoid soy protein isolates, non-fermented soy foods (tofu, soy milk) and processed soy foods like soy patties or hot dogs if you’re on a plant-based diet. These foods can contain concentrated soy isoflavones that disrupt hormonal balance. Further, in excess, they can depress thyroid function, another fertility factor for women trying to conceive. If you’ve been consuming a lot of soy products as a vegetarian, check out our article on fertility cleansing to help cleanse the body of accumulated estrogens. Balance is the key to any diet! A few tips: make sure each meal contains a high-quality protein (a full serving or slightly more), a healthy fat, and fruits and vegetables covering about half your plate. Include whole grains every day for energizing complex carbohydrates and fiber. Eat all of the colors of the rainbow to ensure you’re getting a wide range of nutrients from your favorite plant foods. Plant-based diets have devoted followings from different philosophies and religions all over the world. 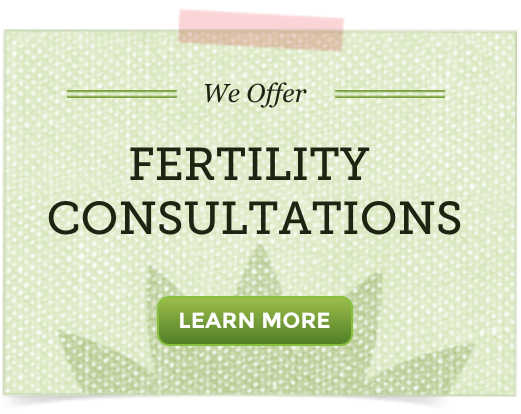 A balanced vegan or vegetarian Fertility Diet can encourage and support your fertility. If your plant food diet has been missing critical nutrients, you may experience positive changes (weight management if under or overweight, overcoming anemia, healthy ovulation, balanced sugar levels) with the dietary changes you make. Further, today health-conscious vegans and vegetarians embrace high-quality supplements for their challenge areas. Nutritional supplements are a good choice for B12, D3, zinc or iron, especially if your levels stay low (ask your doctor for testing) even after dietary improvements. Rector-Page, L. G., & Abernathy, S. (2011). Healthy healing. California: Healthy Healing. Wow. Thanks so much for the article. I didn’t know about the B-12, it’s powerful.